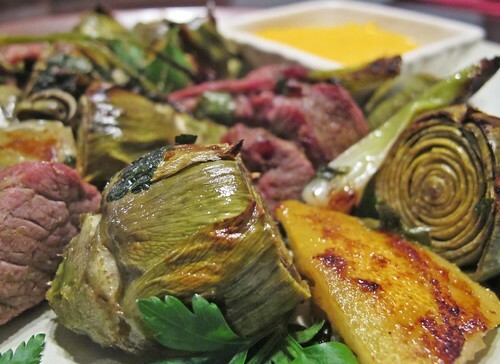 Though now available pretty much all year round artichokes are supposedly all about spring. Same with lamb. Same with scallions. So i decided to make an ultimate spring roast with all the three. Served with tomato machego sauce. Came so good that i decided to write down the recipe.